In the 1980s, the U.S. saw a significant reduction in alcohol-involved traffic crashes when the legal drinking age increased to 21 and the blood-alcohol limit for motorists was reduced from .10 to .08. Now, advocates are urging states to further reduce the allowable alcohol limit for drivers. However, as we reported last month on our Florida Injury Lawyer Blog, Florida lawmakers have failed to enact a number of road-safety measures in recent years. It has been Mothers Against Drunk Driving and other volunteer organizations that have done the most to make public the dangers of driving under the influence. Our Fort Myers injury lawyers continue to support those efforts as we fight for justice on behalf of victims and families whose lives are forever changed by the senseless crime of driving under the influence. As a law firm focused exclusive on representing the injured in SWFL since 1971, we also are seeing an increasing number of motor-vehicle crashes resulting from intoxication by substances other than alcohol. The Florida Department of Highway Safety and Motor Vehicles launched an ad last year (view it here on YouTube) that targeted drivers under the influence of marijuana. “Drive Baked, Get Busted” a $5 million awareness campaign required by last year’s passage of legislation that legalized medical marijuana. Still, law enforcement acknowledges that determining whether a driver is under the influence of a legal or illegal drug is more difficult than determining alcohol intoxication. In many cases, a blood or urine test is required to determine drug intoxication, which often requires a court order. And the opioid epidemic is now claiming more lives each year than motor vehicle collisions or gun violence. So when we speak of driving under the influence, we are talking not just about alcohol but about impairment from illegal or legal medications. For instance, even side effects of prescription medication can result in impairment. For those who obey prescription drug warnings and take drugs as prescribed, a combination of medications may also alter a driver’s judgment or ability. Such impairment disproportionately impacts older drivers (who are more likely to be taking multiple medications and are most susceptible to the effects), which further increases the road risks here in Southwest Florida. 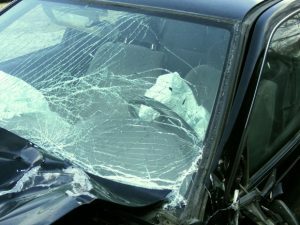 Determining liability in these cases is best left to a law firm with extensive experience handling personal injury or wrongful death litigation involving intoxicated motorists. While determining liability can be a straight-forward matter in these cases, identifying liable parties with adequate insurance coverage is a significant challenge, as is determining the full extent of damages.